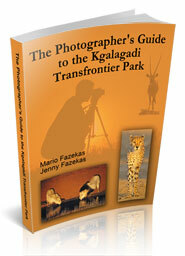 Photo Safari Advice - where do You get Yours from...? The internet can be a source of much information - and mis-information! 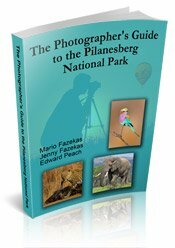 This page has been created to warn you, our visitor, that there are many web sites out there that offer incorrect photo safari advice or that offer information that has been plagiarized from other people's web sites. We speak to a lot of visitors in the Kruger park, Kgalagadi, Pilanesberg and Etosha and many of them say that they were provided with inaccurate and even false photo safari advice before visiting the park and sometimes they have just been inconvenienced or have brought the wrong items and have had to lay out a lot of money to buy something that they already had at home. We know of some people that run web sites and they purport to be experts on a certain topic and then we find out they have visited the country only once in their life or have never visited it - they get their information from research! This doesn't mean that their web site will have incorrect information - it simply means that they are not speaking from experience and you just hope that the sources of their information are accurate. 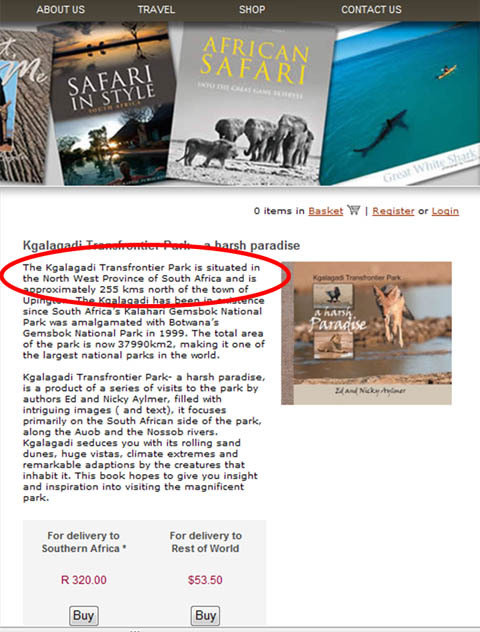 Even the SANParks website, which is one of the best and most comprehensive sources of information, has some inaccuracies. 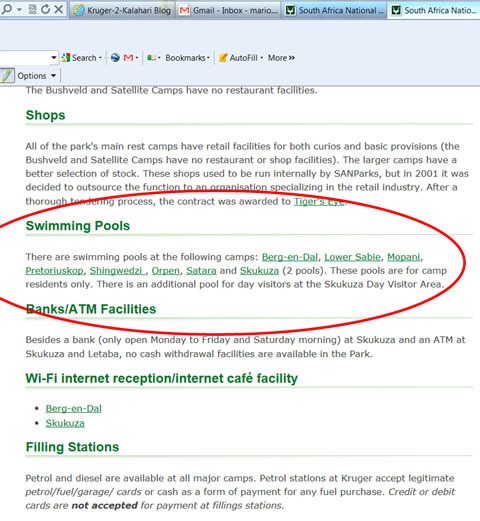 For example this screen shot, taken on 11 May 2011, shows that there are eight swimming pools in the Kruger Park. We know that there are 12 main camps and all of them, except only Olifants and Crocodile Bridge camps, have swimming pools. Someone has missed out Punda Maria, Letaba and also Shimuwini Bushveld camp, which have had swimming pools since at least 2009! 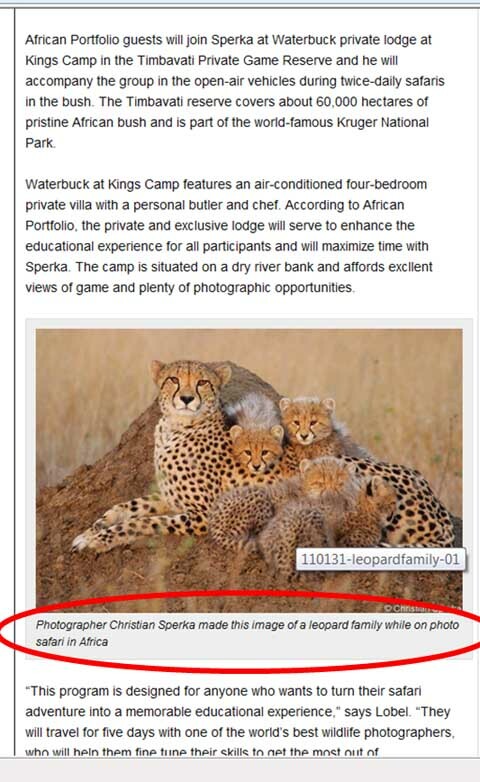 We are not criticizing SANParks, people do make mistakes - all we are saying is that you, the visitor, should double check your photo safari advice with a few reliable sources as it's your safari or holiday that is at stake. 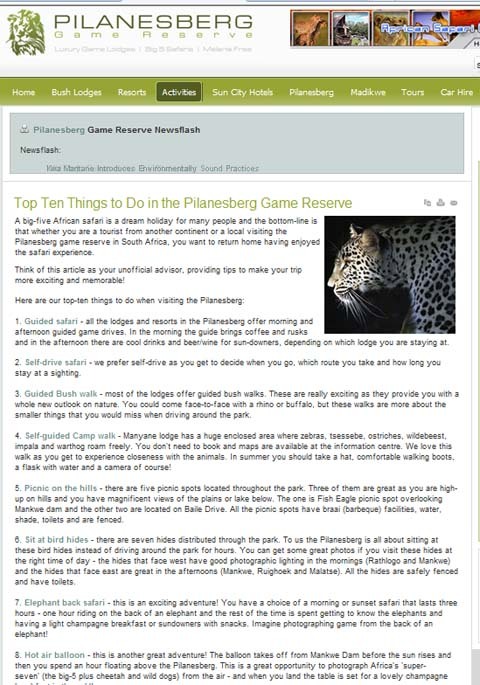 We saw on the Wikitravel Kruger Park page the 'Madelane Gate' (should be Malelane) and the 'Pionier Tented Camp', a satellite camp of Letaba yet there is no such camp in the park - this info has most probably been contributed by people who have never even been to the Kruger! 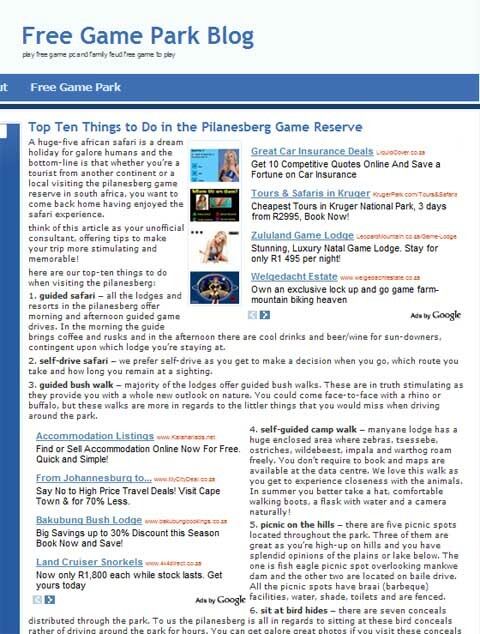 We then search on Google for the 'Pionier tented camp' and we get a whole lot of other travel sites who have also listed this camp as they are all copying each other's info word for word! Then we have people who plagiarize other's articles and even photographs to make them look like the 'experts'! We have had many of our articles 'stolen' off of ezine-articles - people either use them word-for-word, or they change some words and grammar to make the articles look different. Yet they ARE allowed to reprint all articles on article directories such as ezinearticles.com, provided they stick to the terms - simply give credit to the author and ezinearticles.com as the source. They, however, choose NOT to give credit but to make out the article is theirs, and hope no-one finds out! 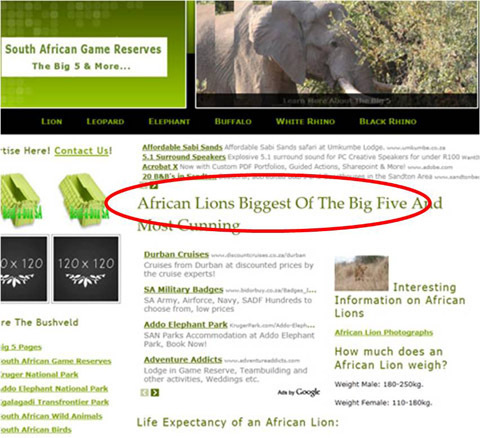 So would you then use a company that does this to take you on your safari? What other 'things' are they doing if they are plagiarizing from other people's web sites!? Did you know that the Kgalagadi Transfrontier Park has relocated from the Northern Cape Province to the North West Province...? 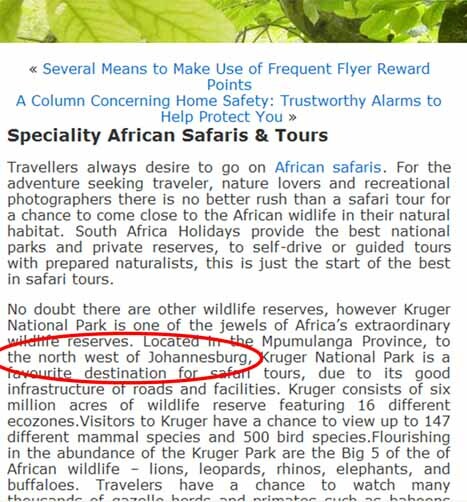 And the Kruger Park has relocated from Mpumalanga Province (east of Johannesburg) to 'North West' of Johannesburg...? 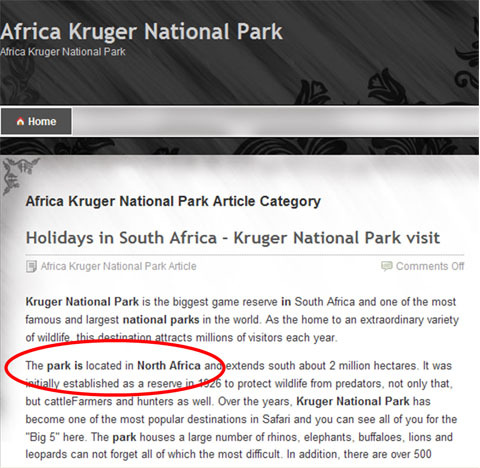 Actually, no, the Kruger has relocated to North Africa...! I'm sure that Tanzania's Serengeti with over one million wildebeest and zebras and even South Africa's Kruger with over 13 000 elephants, will have something to say about that claim! And we always thought that the 200kg lion was smaller than the 500kg buffalo, 1000kg black rhino, 2000kg white rhino and the 6000kg African elephant! 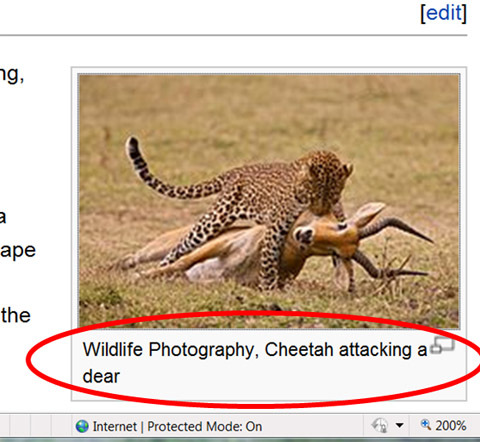 When is a Cheetah not a cheetah and when is a Leopard not a leopard...? I know that a cheetah and a leopard look very similar but come on guys! 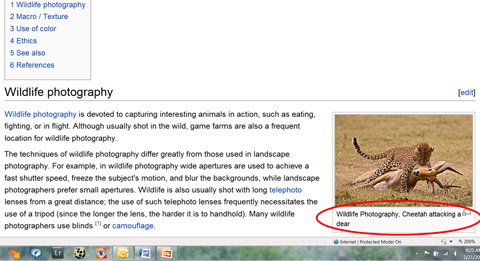 If you are 'Wildlife photographers' surely you know the difference!! Our animal identification page describes the easy-to-confuse animals and provides photos of each. 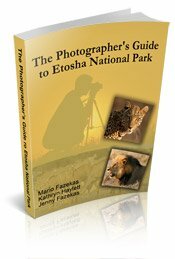 Safari and photographic forums can be a good place for information but lately there seem to be so many self-proclaimed 'experts', some who have never even been on a safari or who don't own a camera, providing their 'advice'. On a travel forum a person posted the story of an elephant in the Pilanesberg that rolled a tourists car over. The post heading was 'Good reason not to self-drive on safari'. We have seen so many people who do not read the park rules, given to every visitor upon entering the parks, and do not respect animal's right of way and they try to push past the elephant and this tends to be the result - a squashed car, luckily with no fatalities. So a few people take chances and don't give animals their space so now the advice to you is not go on a self-drive safari but to go on a guided safari instead where the guide will ensure this won't happen - oh really!? 'Man gored by elephant sues game lodge'The unfortunate man was gored in his right leg by an angry elephant as he sat in the back of a game viewing vehicle. The injured man claimed the game ranger was negligent because he switched off his vehicle while viewing the elephants and failed to ensure he had an escape route should an elephant attack. 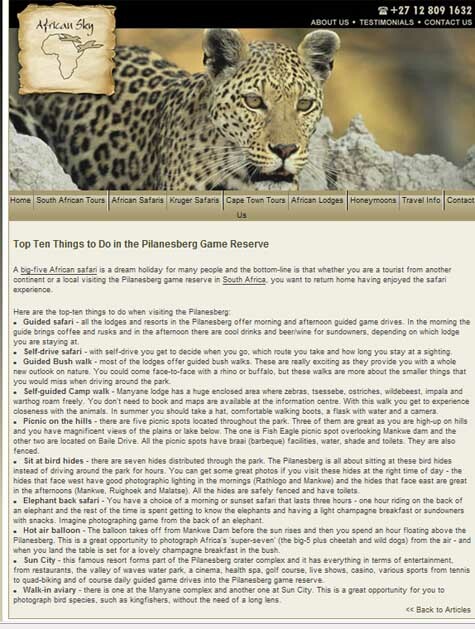 So now after reading this article the expert will conclude guided game drives are bad and dangerous and you should rather do a self-drive safari where you are in control of the vehicle - or maybe not to go on safari at all as both options could be bad for you!. If you read the rules and use common sense, a self-drive safari is very safe - we have done over 100 self-drive safaris with zero injuries. Yes, we have had a few close calls with black rhino, elephant, a leopard and a scorpion but that is what makes a safari exciting! 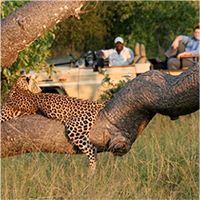 If you are unsure of animal behaviour then by all means go on a guided game drive to get a feel for what the animals may do and then do a self-drive safari if you feel confident. Keep in mind that most injuries on safari tend to be people who are breaking the rules by getting out their cars, taunting the animals or have been drinking alcohol and then do stupid things. 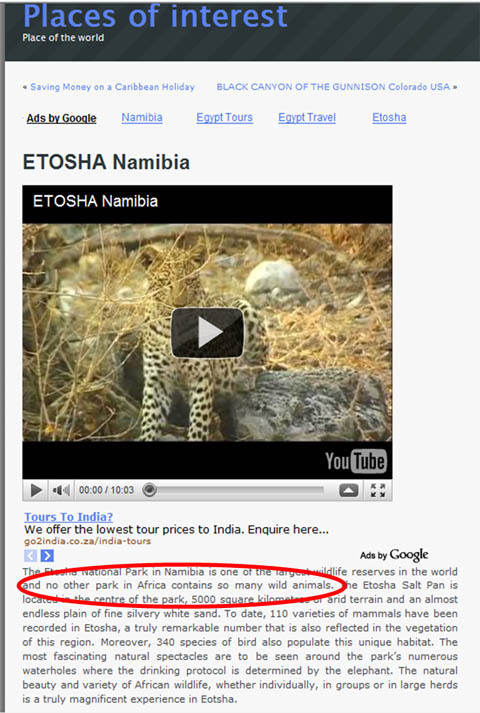 The message here is do not simply believe the first web site you come across - do a bit of research and compare the photo safari advice they are providing you and if you find that they are giving plagiarized or erroneous information how can you believe anything that they are telling you? We need to deal with ethical companies - there are some out there - we just need to find them! (http://www.copyright.gov/title17/92chap5.html#504). You agree that any legal proceedings against you will occur in Brown County in the State of Wisconsin, USA."